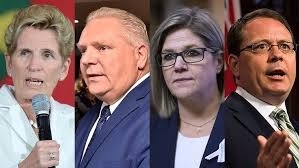 Panel to interpret Ontario Election 2018: What will it mean for business and the environment? Ontario's most anticipated election in a generation poses some interesting questions for Ontario businesses and the environment and cleantech industry. On June 7, 2018, the Ontario Environment Industry Association (ONEIA) and our partners will present a panel of policy watchers who can provide the perspectives of all major parties and then participate in a lively Q and A with the audience. In addition to the panel, your first drink and snacks are included in your ticket price! Register now!